Yoga is not just the latest exercise fad, it’s an age-old practice that has the transformative capacity to change your body and your life. Here are just a few reasons you should spend some time on your yoga mat. It helps to detoxify the body and aids organ function. There are a whole host of health benefits that come with consistent yoga practise. Yoga helps to increase blood flow, it improves flexibility and mobility and potentially lowers blood pressure. Different yoga poses target different internal organs, boosting blood circulation and general immunity. It helps you sleep better. Restless sleepers may well find that yoga works better than any over-the-counter sleeping pill. Setting an hour aside for your practise each day will allow your body a space for restorative downtime. Many studies have shown that better, deeper sleep is a common by-product of regular yoga practise. It perfects your posture. It’s so easy to forget about the importance of spine health when we’re hunching over our computer screens and cell phones. Yoga allows you to become increasingly aware of the way you carry yourself. Improving your posture will help to relieve you of neck and back tension while protecting your spine from degenerative arthritis. It improves concentration. In an age of ubiquitous technology and instant gratification we are almost always multi-tasking. Practising yoga allows you to completely remove yourself from distractions, to focus entirely on your own body, your breath and the present moment. This heightened state of awareness and focus will cross over into other areas of your life. It makes you happier! We live in overwhelming times. We are constantly bombarded with the demands of our work and personal lives. 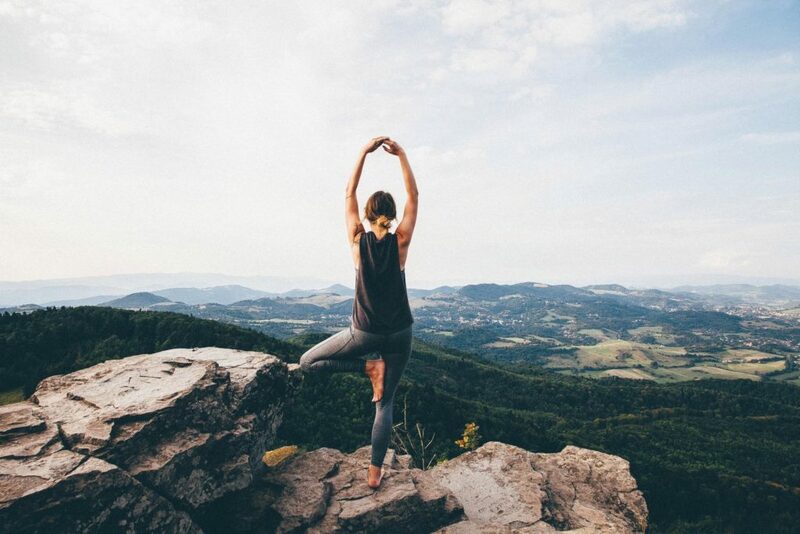 Yoga is not simply an exercise for the body, it creates a unique and safe space for self care, for meditation, reflection, relaxation and gratitude. Daily practise is a respite for your body, mind and spirit.